30 January 2016, Abu Dhabi, UAE ~ Mohammed Humaid Al Neyadi riding 9-year-old grey gelding Dahoman XI 57 won the 120-km Sheikh Zayed Bin Mansoor Bin Zayed Al Nahyan Junior & Young Riders Endurance Cup (CEN JYR) 120 held on Saturday, 30 January at the Emirates International Endurance Village in Al Wathba, Abu Dhabi. 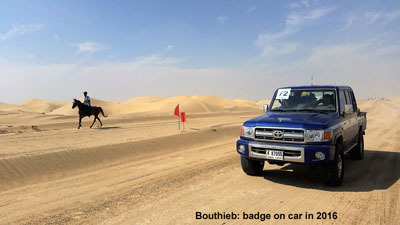 Bouthieb continues to be an oasis in the tough world of desert endurance racing in the United Arab Emirates. 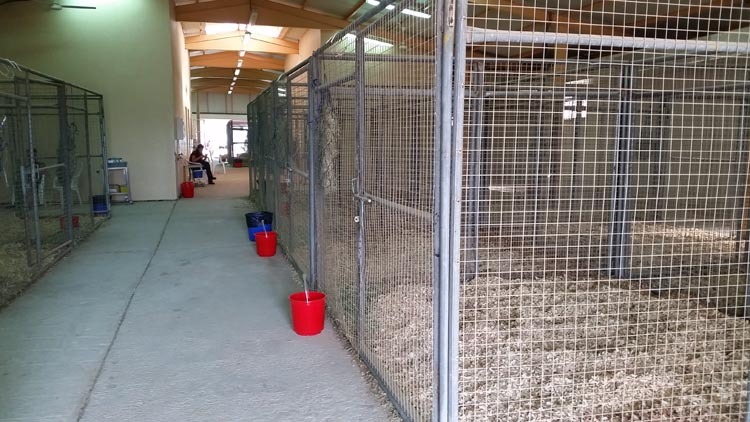 The Bouthieb endurance facility in Abu Dhabi is owned by Sheikh Sultan bin Zayed Al Nahyan, who has spearheaded stringent local rules designed to safeguard the welfare of horses. Speeds must be kept in check and are monitored by GPS. Bouthib particularly rewards the conditioning of the horse over speed, which is reflected in the distribution of prize money. The new rules introduced in Bouthieb under the leadership of HH Sh Sultan bin Zayed Al Nahyan, Representative of the President and Chairman of the Emirates Heritage Club (EHC), have, so far, been implemented on three events totaling eight competitions -from December 31, 2015 to January 23, 2016, i.e. over a period of 3 weeks and two days – involving 1077 horses. Of that number only 5 horses, whose neither life nor athletic future were in danger, required significant care. These horses all left the clinic in the afternoon. We can only welcome such a result both because it is exceptional and also because it's simply unprecedented. This dramatic decline in the number of horses requiring unavoidable clinical care, this disappearance of horses who died of exhaustion or were put down because of fractures, is certainly the most important and most visible consequence of the revolution taking place in Bouthieb. But do not forget that this is part of an ongoing broad programme of education / rehabilitation which has several other aspects. What can I say except that it's just as different as night and day from what went on before? 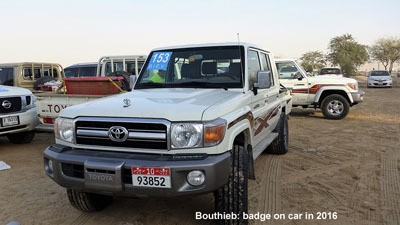 The cars have access only if they have the badge (authorization) that was given to them. Their number is limited to one vehicle for 5 horses per trainer. In order to ensure effective control, the badge is not a small discreet label that gets stuck in a corner of the windshield and that the stewards or the police will have no time to read, but a big sticker (30 cm x 30 cm) which does not allow fraud. The riders' track is lined with linear mounds prohibiting crew vehicles to mix with horses and cross their path. Cars drive on the right or the left track, in principle, depending on the wind so as not to disturb the horses with dust. It is the third year that this provision has been introduced in Bouthieb, but it is only a first step because they are thinking of improving the tracks by making them more technical and by separating them from the vehicle assistance for the next season. The contact points (crew points) would then only be water points as in the rest of the world. Riders would be even more responsible, being no longer practically guided by their trainers. This can only be beneficial for the horses as by becoming more independent, riders will be more responsible and will certainly be more attentive to their horses. Sometimes you want to give up because it's so exhausting, but you can't because your horse will fall and you might go off a cliff. I just have to trust that my horse has worked out the safest path, and go with him. Bellingen's Isabel Foster and her Arabian Gelding, Sharabel Kalarney, have successfully completed three of the biggest endurance riding races in Australia. At 15 years old, Isabel was the only junior to complete the Tom Quilty 160km, the Shahzada 400km marathon and the 160km NSW state championship. Placing first in seven out of nine rides last year, she is now the top junior endurance rider in NSW and Australia, and has her sights set on representing Australia at the World Youth Championships in Italy in 2017. The FEI publishes an 'Equine Prohibited Substances List' (EPSL). This enables Persons Responsible (PRs) to ensure that they are not treating or feeding horses with substances that are prohibited for use during competition and substances that are not permitted for use in the horse at any time. 'Banned Substances' are substances that are deemeed by the FEI to have no legitimate use in the competition horse and/or have a high potential for abuse. They are not permitted for use in the competition horse at any time. The EPSL lists all substances that are prohibited for use during FEI events. Substances that are not listed on the EPSL are not prohibited provided that they do not have a similar chemical structure or biological effect to a substance listed on the EPSL. The EPSL is available below as a pdf, an online database and a mobile app. Links to these tools can be found by clicking on the buttons below. The EPSL is reviewed on an annual basis by the FEI List Group. Changes to the list are published in the library section below, 90 days in advance of the change coming into effect. Further details on the review process can be found here. Before giving any substance to a horse competing at FEI events, athletes and their support personnel should always check if the substance is prohibited. If so, a withdrawal time must be observed before competing and the FEI publishes a 'List of Detection Times' which can be found below. Elective Testing is always available and the FEI organises specific elective testing programmes for horses competing in major Games. Information concerning elective testing can be found here. Athletes and their support teams are stongly encouraged to work closely with their veterinarians when administering substances to horses. The FEI publishes a caution against the use of herbal supplements and products of which the ingredients are unknown. The use of any substance to affect the performance of a horse in a calming (tranquillising) or an energising (stimulant) manner is forbidden. The use of a calming product during competition may also have important safety consequences. As usual, Welly World has hijacked my life, leaving me with little free time and a hoarse voice from all the social interacting that comes from cramming half the horse world into a few square miles. Since I am making so little headway on my 2016 predictions, and since just the first one is a lengthy blog on its own, I will be meting them out in little batches of one or two as time allows during my stint in Florida-land. From far away, we often see undefined blocks, groups, masses, and we end up very quickly - if not invariably - making snap judgments and deciding, once for all, that "they are like that". Thus we have "Indians", "Blacks", "Arabs", "Chinese", etc. From far away we see an anonymous figure, which as it gets nearer, becomes a man who is actually a woman and we soon discover that she is not the unknown one we had suspected... In short, when getting closer we become aware that reality is always more complex than the idea we had of it before. It's the same in reverse for us and we cannot completely avoid the trap created by distance. Group VII, The Emirates, The Arabs, etc. For many Europeans all that is about the same and one is satisfied with the recent global anathema (doping, cheating) without further questioning. You can even hear some people talk of the need for their exclusion from the FEI, which would in itself mean the beginning of the end of the international federation. So take a magnifying glass and come closer to understand better. Here we will talk of what is happening today in Bouthieb, one of the three endurance villages in the UAE (and also the oldest), as you would do for example to explain what we are trying to do and how we do it in Fontainebleau (FRA) or Rascafría (ESP) to an Indonesian. Doing so, we will leave Manichaeism and monolithic thinking to replace it by the description of the real men and their intentions. A little bit of information, a gust of fresh air on the issue. When in the 50s it was discovered that the underground of the northern Arabian Peninsula was full of oil, SH Zayed bin Sultan Al Nahyan, ruler of Abu Dhabi, understood very quickly that this resource required the emirates to unite (unity is strength) and that the country would inevitably be overwhelmed by the sudden change induced by this extraordinary resource and the new era to come with it. He managed to convince his counterpart neighbors to form a federation whose name is the one we know today: UAE (United Arab Emirates). His second priority task was to set up a body to preserve the cultural heritage for the future generations. This great idea took shape under the name of Emirates Heritage Club (EHC). Its purpose is extensive. It spreads from the preservation of the culture of the past to the latest study on the environment, youth training and education, promotion of tolerance and peace, etc. In this context horses were of course present. Sh Sultan bin Zayed Al Nahyan, second son of the UAE founder, the late Sh Zayed bin Sultan Al Nahyan, currently a member of the government, is the president of the EHC. He created in Bouthieb the first endurance village in the UAE, some 100 km inland among sand dunes, not far from his palace. Each year five to six weekends of endurance competitions are held there. It is currently the largest center in the world by the number of participating horses each time. For example, on January 23rd to 25th 2014 nearly 800 horses over three days with 340 on the second day participated in the competitions. AT THE age of 14 Derek Francis wanted to be a scientist. His mum wanted him to go to grammar school and his dad wanted him to join the family business. Despite his keen interest in astronomy and zoology, he chose to work with his dad, a furniture maker in Malvern. After starting an apprenticeship to learn about furniture and upholstery, Derek and his father decided to move into retail as they realised it was more profitable to sell furniture made by other people. This was the start of the independent family-run furniture, beds and interiors business now known as Francis of Malvern, based in Malvern Link. Derek’s job was delivering furniture, often on a hand cart he pushed to customers’ homes in Malvern. Now aged 91, he recalls: “It was a hard way of delivering a bedstead in Malvern.” He was, without doubt, very fit and strong in those days. But despite focusing on a career in business, Derek did not lose interest in science, and particularly zoology. In the 1960s he went on an African safari, which reignited his passion for animals. The winners of the prestigious Mohammed Bin Rashid Al Maktoum Creative Sports Awards have been honoured in Dubai (UAE). HE Sheikh Khalid Bin Abdulla Al Khalifa (BRN), FEI 2nd Vice President, member of the FEI Executive Board and President of FEI Regional Group VII, was awarded the Arab Administrator Award - Kingdom of Bahrain. HRH Princess Haya Bint Al Hussein, FEI Honorary President and Goodwill Ambassador, was also honoured, taking the Local Sports Figure award in recognition of her outstanding work as FEI President during 2006 to 2014, and for establishing the FEI’s global sport development programme, FEI Solidarity. A total of 180 entries were received for this seventh edition of the annual Mohammed Bin Rashid Al Maktoum Creative Sports Awards, part of the Mohammed Bin Rashid Al Maktoum’s Global Initiatives focusing on humanitarian, social and developmental strategies. They are subjected to strict medical checks throughout the gruelling race in the desert and have a team waiting to massage their feet and fetch buckets of cold water to refresh them, while electric fans are brought out to keep them cool during the intermittent breaks. 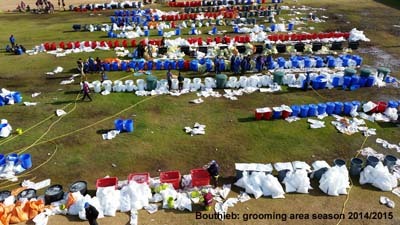 While this sounds like a typical scene from a marathon race involving elite athletes, there is one telling difference. These competitors run on all fours. Meet the stars of the equine world of endurance racing. Nothing is spared to keep these horses - mostly Arabian-bred and famed for their stamina and durability - comfortable and in the best physical shape, explained rider Prutiratr Serireongrith. Volunteers line the dusty circuit with plastic bottles of water in hand, passing them to the riders who rarely take a sip but empty the contents onto their mounts to keep them hydrated. Manama, Jan.16 (BNA) HH Shaikh Nasser bin Hamad Al Khalifa, Representative of His Majesty the King for Charity Works and Youth Affairs, Chairman of the Supreme Council for Youth and Sports and President of Bahrain Olympic Committee honoured the winners of Khalid bin Hamad 120KM Endurance Race in the presence of HH Shaikh Faisal bin Rashid Al Khalifa, President of Bahrain Royal Equestrian and Endurance Federation (BREEF). The future of Britain’s most famous endurance ride has been secured thanks to the appointment of a new event organiser, but the ride will not go ahead this year. Exmoor’s Golden Horseshoe celebrated its 50th anniversary last year (17-19 May), but the continuation of the event hung in the balance after its long-serving committee chose to step down. The committee, headed by Barbara Wigley, was struggling to find a replacement team. However, Mrs Wigley confirmed to H&H that a new organiser had stepped in and the ride is expected to continue in 2017. “It’s not running this year, but we think it will run next year,” Mrs Wigley told H&H. Only keen students of Middle Eastern politics have probably heard of the intriguingly named Dr. Sheikh Sultan, but 2016 could be the year in which his body of admirers spreads far outside the Emirates. First, though, some background for those whose geography etc. is a bit scratchy. The UAE comprises seven sheikhdoms (or emirs), of which Abu Dhabi and Dubai are the most powerful, ruled by the Nahyan and Maktoum families respectively. Dubai is perhaps the more famous, as a business hub and tourist magnet and because of the stratospheric profile of its Thoroughbred racing through the involvement of Sheikh Mohammed, ruler of Dubai. 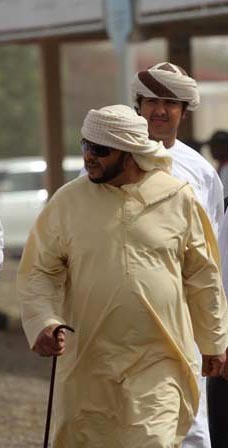 However, the overall UAE presidency is with the Al Nayhans, currently Sheikh Khalifa. So Sheikh Mohammed is not the quite the most senior person in the Emirates, being overall UAE vice president and UAE prime minister. One of Sheikh Mohammed’s daughters is married to famed soccer patron Sheikh Mansour Al Nahyan, UAE deputy Prime Minister, though despite this romantic alliance there is rivalry between the two families. Mohammed and Mansour also own the two busiest endurance venues – Dubai International Endurance City (DIEC), due to host the 2016 world championships unless the UAE gets suspended again, and Al Wathba. One Sheikh is moving mountains to reform endurance. Sadly it’s neither of these two. Our unsung hero is His Highness Dr. Sheikh Sultan Al Nahyan, a former deputy UAE prime minister, Mansour’s much older half-sibling and three-quarters sibling of president Khalifa. Sultan was part-educated outside the UAE, including a spell at Millfields, a famous British school renowned for its sporting prowess and values. 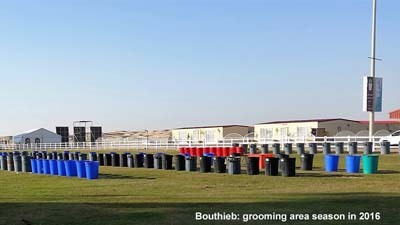 Sheikh Sultan is keen on endurance too, and owns the UAE’s third busiest venue, Bou Thib. Thursday, December 31 was a historic day in Bouthieb Endurance Village (Al Khatem, Abu Dhabi, UAE): During the CEN 1* 90 km Emirates Heritage Club for Ladies with 59 competitors, the clinic remained desperately empty, which, according to officials, had never happened since the beginning of endurance in the UAE. HH Sheikh Sultan bin Zayed Al Nahyan - Representative of the President and Chairman of the Emirates Heritage Club (EHC) -, the organizing committee, the officials, the participants, etc. everyone felt authorized to say, with undisguised pleasure and black humor, that this was a true disaster ... for the employment of treating veterinarians, who were overwhelmed with joy having spent a very boring day. It's clean, it's all ready, it's empty. In the background, a "desperate" veterinarian is waiting. The second day of competition, January 1, was similar with 2 events (CEI 1* 80 km Emirates Heritage Club Cup in 3 phases and 89 competitors, plus a CEN 1* 100 km Emirates Heritage Cup for Pvt. Owners in 4 phases with 39 competitors) accumulating a total of 128 horses on the track. The day passed with a single mild metabolic case receiving only a treatment of 5 liters of fluid without any additives, a sort of comfort treatment. And nothing else. The third day, January 2, there was a CEIJY 2* 120 km Emirates Heritage Cup in 5 phases with 55 starters on the track. Only 3 horses were presented, they had lost their riders who had fallen down on the first phase in the light sandstorm with reduced visibility and which were caught and taken to the clinic, then immediately released as nothing justified their presence. On the third day 3 there were 3 metabolic cases, 2 without any treatment and 1 receiving 10 liters of fluid without any additives, plus 3 lamenesses of which one only was treated with a small dose of anti-inflammatory. And that's all. So, in three days of racing, four competitions, 242 horses, only 3 horses received a light medical treatment mainly out of caution. This was a remarkable way to end 2015 and start 2016 in Bouthieb Endurance Village. The new competition parameters, implemented regularly for the first time (including 10 minutes of recovery time, even for the finish with a maximum heart rate of 56 bpm and hold time of 50 minutes each loop) produced more effect than we all hoped and there reigned an unprecedented atmosphere of surprise, satisfaction, analysis and research, intellectual ferment mixed with a previously unknown joy. For the first time HH Sheikh Sultan bin Zayed Al Nahyan (photo), who usually did no more than pay one or two visits per season, remained permanently on the site during the three days and even chaired the Wednesday briefing of the first competition. Heather Reynolds' mount Bound for Honor was eliminated at Gate 3 for Irregular Gait. Meg Sleeper and Syrocco Rabia were eliminated at Gate 3 for Irregular Gait. Melody Blittersdorf and CA Iceman were eliminated at Gate 3 for Metabolics. Winning time for the desert race was 6:32.50 for the UAE's HH Sheikh Hamdan Bin Mohammed Al Maktoum aboard the 14-year-old mare Ajayeb. 81 horses out of 227 starters finished the race (35%). Dubai: As part of the ninth renewal of the His Highness Shaikh Mohammad Bin Rashid Al Maktoum Endurance Cup, the Dubai Equestrian Club, the organizing body for the sport of endurance riding in Dubai, launch an Arabic language version of the mobile phone app, Dubai Endurance. The Dubai Endurance App allows the user to follow all endurance events held at Dubai International Endurance City, including the HH Endurance Cup that was held on Saturday, January 9. A rider has credited a volunteer search and rescue team with saving her from potentially life-changing injuries after she fell from her horse during a 10-mile pleasure ride in Northern Ireland. Charmaine Halliday (pictured above her daughter Megan before the accident) was taking part in a ride organised by the Irish Long Distance Riding Association (ILDRA) in the Tollymore Forest, near Newcastle, on 3 January. 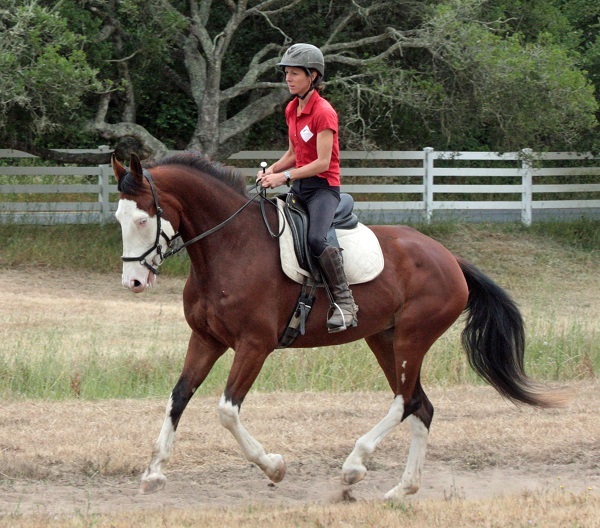 “There was around two miles left and I was cantering along when I lost my stirrup. I slid off the side because my saddle was so wet in the rain,” Charmaine told H&H. A Hawke's Bay paediatric nurse, who once considered a career as a jockey, will race 1000km across the Mongolian steppe later this year. Krista Donnelly was inspired to tackle the Mongol Derby in August by deeds of another Kiwi competitor, Chloe Phillips-Harris who rode in the event in 2013. "She did really well and it was quite well covered [in the media]. I have watched it every year since and I'm now at a point where I can do it," Donnelly said. Phillips-Harris finished fifth and at the time she completed the course 12 riders had retired from the field while a further 13 were at least a day away from the finish line. Kiwis have a proud tradition in the race since its inception in 2009, with double Olympian Madonna Harris among those to compete the gruelling event.